What is Ethical Finance from a Jewish Perspective? The following is my keynote address at the Interfaith Ethical Finance Roundtable. 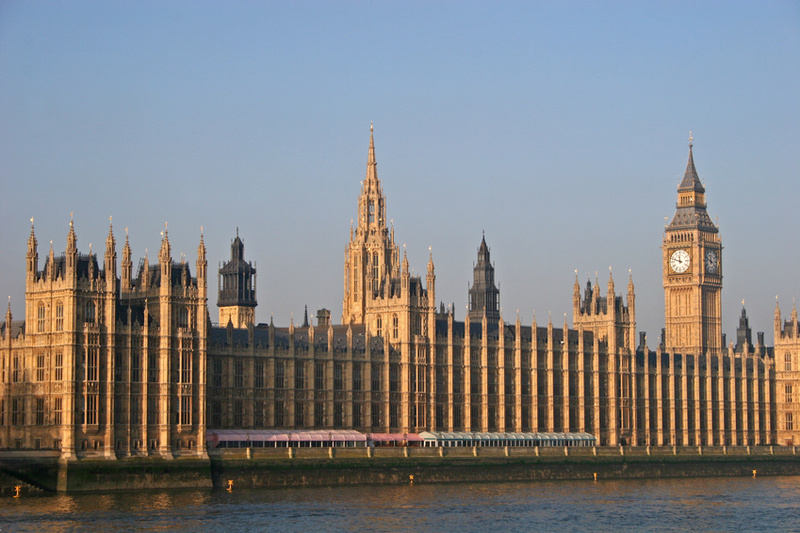 The Interfaith Finance Roundtable was held at The House of Lords on the 24th September 2013. It was sponsored by the Islamic Finance Council in association with the Arab Financial Forum (AFF) and the University of Cambridge inter-faith program. Other keynote addresses were given by The Archbishop of Canterbury Justin Welby and Sheikh Ruzwan Mohammed. Rather than talk about the specifics of ethical finance from a Jewish legal perspective I think it would be more beneficial and illuminating to describe the underlying philosophy that undergirds its many emergent laws. Laws address circumstances and as circumstances change so too does the application and interpretation of law. However the underlying Jewish philosophy and value system is the bedrock upon which all subsequent law is built and so with only twenty minutes allotted to this presentation. I would prefer to describe the general Jewish value system which gives rise to numerous laws. So what is the Jewish value system that undergirds ethical finance? I think it is the same value system that undergirds all of human behaviour and it is brilliantly, albeit cryptically, set out in the following mishnaic teaching. The Mishnah is the first recorded book of Jewish law redacted by Rabbi Judah the Prince in the early part of the third century Common Era. It’s a lengthy passage so, in the interest of time, I will read only the most pertinent part. As I said the mishnaic langue is terse and so let me explain what it means. Firstly, in theoretical terms it’s extraordinarily narcissistic. How can a religious text teach such self-absorption? One would expect a core religious text to promote humility, awareness of one’s own limitations, the notion that the world does NOT revolve around me. And instead we get a text that emphasises the exact opposite. Secondly, in practical terms what is the likely outcome of EVERY individual thinking this way? If every person woke up in the morning believing that the world was created just for them what kind of world would we end up fashioning for ourselves? Some might argue that this is exactly the world we are currently living in and it is precisely because too many people wake up in the morning believing that they are at the centre of the universe! The truth is the mishnah is making the exact opposite point to what it appears to be making at first glance. The mishnah is not giving one licence to take from the world with impunity but rather to give to the world out of a deep sense of responsibility. Because each of us is unique we each possess the unique opportunity to contribute something novel to our world and to society. The Mishnah is trying to combat a nihilistic tendency in which the individual despairs of making any real difference because he is so insignificant. The Mishnah address this first with rich imagery pointing to the fact that no two people are alike and then by persuading the individual to think of the world as though it were created just for him – to make a unique contribution that no one else in human history can and will make. In other words the Mishnah asserts that each of us possesses a unique purpose to be fulfilled with our lives. In this context “The world was created just for me” implies the world is waiting for my unique contribution. This foundational idea, that every human being has a unique purpose to help shape our world is at the heart of Judaism and it is captured in the phrase Tikun Olam – which means to repair our fractured world. What does this have to do with ethical finance you might ask? The answer is everything. Ethical finance is Purpose-driven finance. Throughout human history there has always been a tension between rights and responsibilities. I think it is fair to say that prior to the enlightenment the emphasis was on responsibilities or duties at the expense of individual rights. Post-enlightenment the bias has turned in the other direction, and this is certainly true of the post-modern world we currently find ourselves in. The discourse of politicians, educators and moral philosophers revolves around finding the right balance between Rights and Responsibilities so that whenever one pole is dominant they react by pulling society in the other direction. The result is that we vacillate wildly between these two poles and this is not constructive. The financial world in particular finds itself caught between these two poles. Many bankers assert their right within a free-market society to maximise short term profits regardless of the long term cost – provided it is within the letter of the law. They in turn are challenged by, amongst others, groups like the occupy Wall St Movement that invoke the language of responsibility. Responsibility beyond the letter of the law; responsibility to community, to the planet, to future generations. The problem with this discourse is that it is a conversation of the deaf and that is largely because given the choice between right and responsibility most people prefer to assert their right. Responsibility, at least, in our post-modern individual-centric society is not something most people instinctively relate to. And that is why the only effective way to maintain it is through legislation. But what if there was a third way? A model that combined both right and responsibility? I contend that this is the Jewish model of purpose. Embedded in the mishnah’s teaching that we each have a unique purpose in the world is the notion that we have both a right to discover and articulate this purpose as well as a responsibility to do so. Sophisticated thinking may enable man to feign his being sufficient to himself. Yet the way to insanity is paved with such illusions. The feeling of futility that comes with the sense of being useless, of not being needed in the world, is the most common cause of psychoneurosis. The only way to avoid despair is to be a need rather than an end. Happiness, in fact, may be defined as the certainty of being needed. But who is in need of man? Ethical finance is purpose-driven finance. One is that enables the financier to contribute something purposeful to society, to the environment, to future generations. Purpose-driven finance, if done correctly, avoids the compliance-based box ticking of responsibility, or worse the hollow, opportunistic, synthetic CSR, and in its place unleashes a positive, proactive drive to fulfil potential and to be a blessing to others. Once, a man came to see the great Hasidic master Rabbi Shneur Zalman of Liadi. The rabbi sat in silence for several minutes, resting is head in his hands. Finally he looked up at the poor man and said “my good man stop thinking about what you need and start thinking about what you are needed for! Ethical finance, from a Jewish perspective, is just that. A financial system operated by those who think a little less about what they need and a little more about what they are needed for.